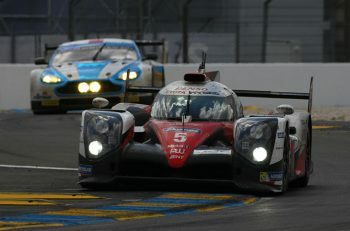 It was a quiet session in LMP1, the weather held up, but the times didn’t tumble due to the heat. Nick Tandy set the benchmark during the opening minutes with a 3:18.862 in the sweltering heat. 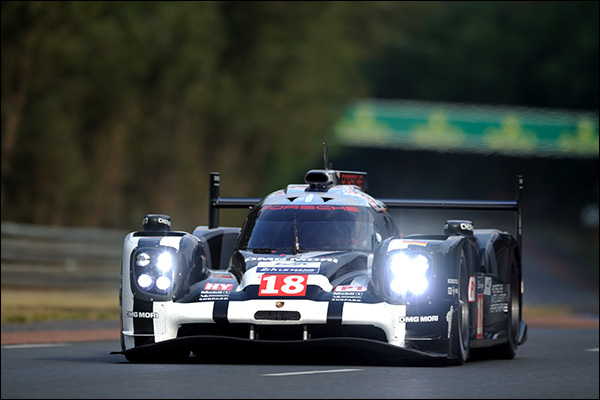 It wasn’t an improvement in overall position for the #19 Porsche 919, which remained sixth, but it was an indication of what was possible in terms of pace. 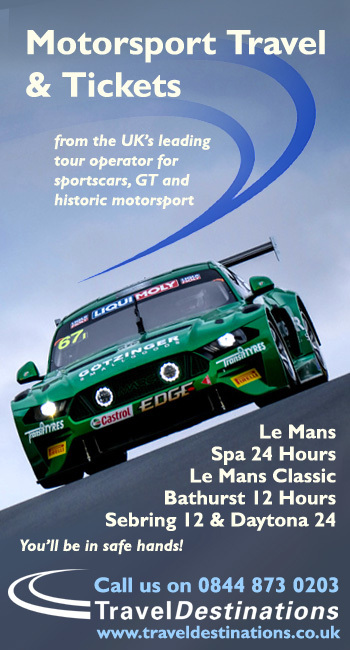 The sheer heat around the circuit prevented many of the top cars setting times in the first 15 minutes. The Audis in particular opted to stay in their respective garages waiting for the circuit to cool down. 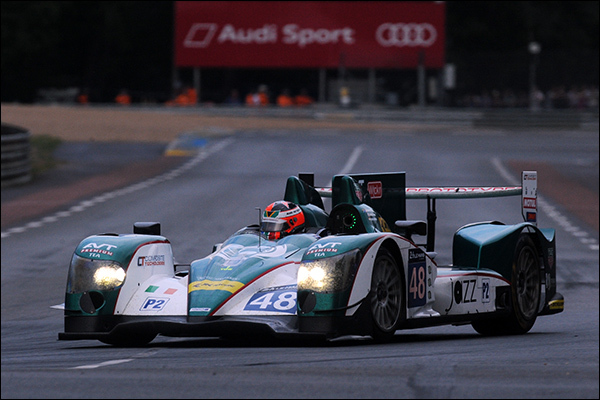 First to improve position was the #7 Audi of Andre Lotterer, who set a 3:20.561 to move up from sixth to fifth overall in the standings, leapfrogging the #9 sister car. 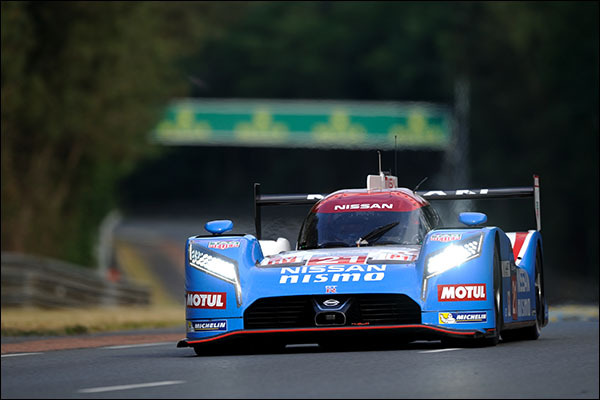 The #21 Nissan, which was the slowest of the trio last night, also set a quicker time, a 3:41.593 to put it on the first timing screen in 22nd overall. With 35 minutes run, the #13 Rebellion of Dominik Kraihamer had a sizeable off at the Forza Chicane, significantly damaging the front of the R-One. The car was eventually lifted from the barriers to safety by a rescue team under a slow zone . 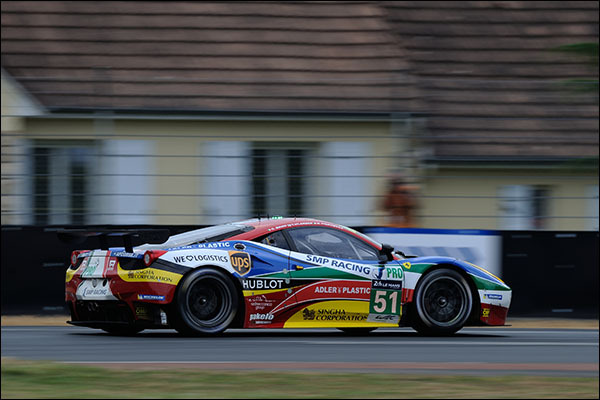 Soon after, though, the #55 GTE Am Ferrari brought out red flags for an off at Corvette Corner that would prevent any further improvements as the circuit went green. 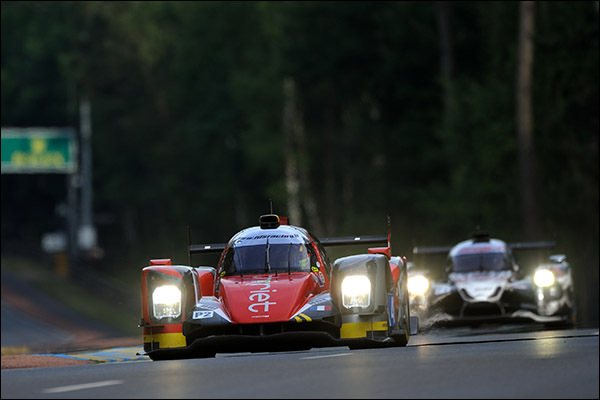 The CLM was finally beginning to get up to speed as the halfway mark of the session approached, with Pierre Kaffer setting a 3:37.519 to put the car 11th overall and crucially ahead of all three Nissans for the first time all week. Lucas Ordonez posted the #21 GT-R LM NISMO’s best time after a tour of 3:39.992, but soon after was spotted running very slowly on track – 18th overall though is an improvement for the tribute livery car. As the Spaniard pulled into the pits, the red flag was shown for Magnussen’s accident in the #63 Corvette at the Porsche Curves, ending the session. 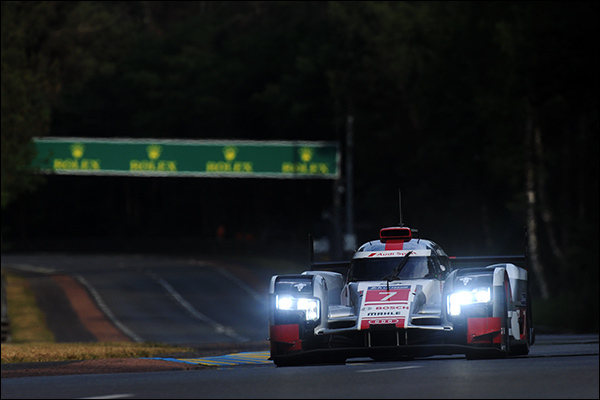 The lights at the end of the pitlane turned green at spot on seven o’clock to mark the beginning of the first session of Thursday qualifying, and there was a jostling amongst the string of cars already queuing at the exit. 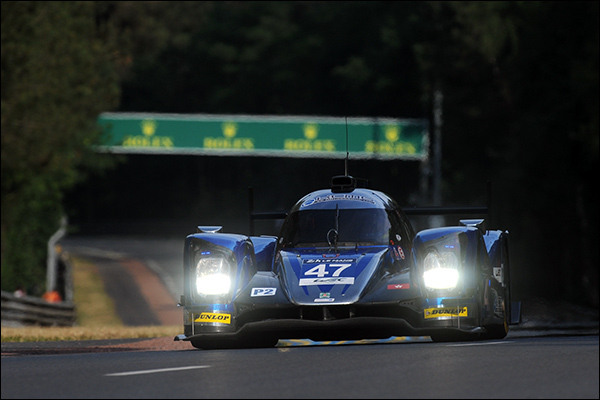 Once again, the first to join the track was the #47 KCMG Oreca, followed closely by one of the Oak Ligiers and the Murphy Oreca – the #48 having the most ground to make up following the team’s curtailed running on Wednesday. Glorious sunshine bathed the track and any hint of the showers that had threatened an hour previously had receded. It was coming towards the end of a baking hot day and the surface and air temperatures were high, leaving everything feeling ‘close’ and humid. Thankfully there was no sign of anything wetter as the cars came through to set their first flying laps. Sure enough, Matt Howson’s first flyer in the #47 was not far short of Wednesday’s best and 3:40.624 was just over two seconds shy of the car’s best (and fastest in P2) from the previous night, but that was about as good as it was going to get. 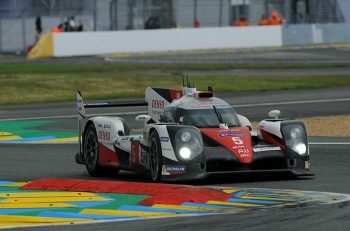 Once again, cars were being warned for not observing track limits, with drivers from all four categories being threatened with sanctions in a drive from Race Control to curb the excesses, especially through Tertre Rouge. Clearly the conditions were far too warm, and most of the running was significantly down on the previous night. It was some while before anyone came even close to matching, or bettering, their bests from Wednesday. 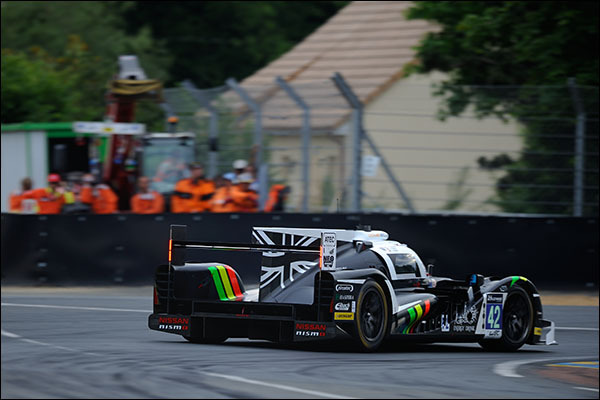 Howson aside, the next to come close was Danny Watts in the Strakka Dome #42, who clocked a 3:44.432, but Nathanael Berthon made up solid ground with a 3:42.666 for the Murphy Oreca. With precious little running on Wednesday there was more potential here for genuine improvement, and his first serious lap was a full two seconds quicker and eased the #48 through to 14th in P2. 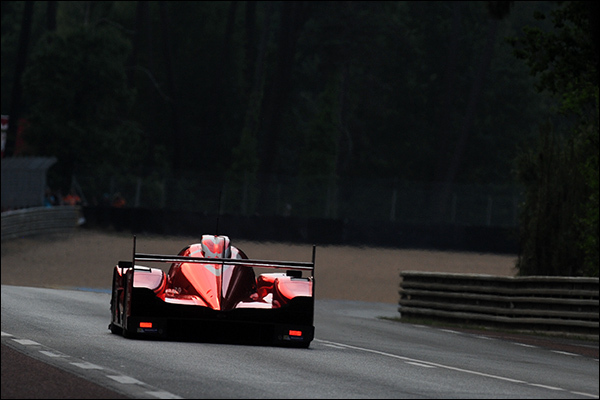 Another of the very few to shave their best was Ryan Dalziel in the #30 ESM Ligier, his 3:42.862 being sufficient to ease the Rolling Stone-sponsored car up a slot. 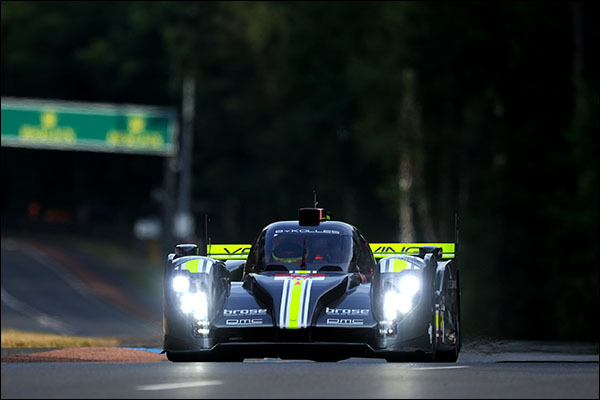 As the session approached the half hour, Berthon took another major step for Murphy, posting a new best for the #48 of 3:41.827 to set the Irish car within LMP2’s top 10 for the first time, remembering that this was the car that headed the timesheet after the Test Day’s second session. 7:32pm saw the first major incident of the evening: the #13 Rebellion LMP1 taking to the tyre wall in quite a big way at the first Mulsanne chicane. Dominik Kraihamer had ploughed straight on near the exit of the element, but race control elected to impose a strict slow zone, resisting temptation to red flag the session. At 20 minutes short of the hour and the next incident involved a P2 car: the pole-claiming #47 KCMG Oreca marked as ‘stopped’ on the approach to Indianapolis. That wasn’t enough to do more than gain a reference on the screens, but when the AF Corse #55 went off at the entry to the Porsche Curves (now known specifically as ‘Corvette Curve’) the session was red-flagged. During the 13-minute break the tyre wall at the first chicane was rebuilt. Concurrently, the temperature dropped below 80 degrees for the first time all day, but it was still too hot and humid for blisteringly quick times. The best in P1 remained typically five or six seconds shy of Wednesday’s provisional pole (3:16.887) and the gap was even greater in P2, with most cars falling as much as eight or 10 seconds away from their previous best. The only team bucking this trend was Thiriet by TDS, with Gommendy posting a 3:40 for the #46 to be quickest in LMP2 during the opening hour of the evening, but still not troubling the overall order. The #43 Oak Ligier was reported for overtaking under the flags, and several others were again warned for abusing track limits. 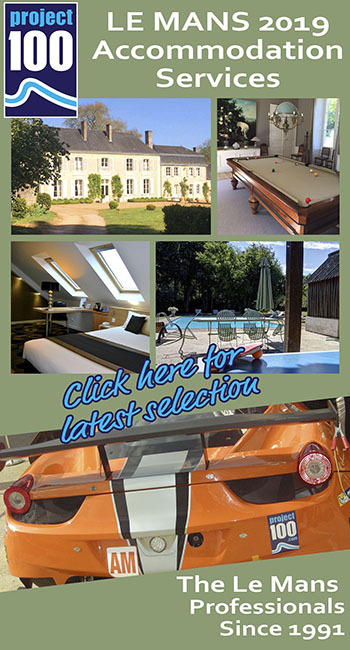 Perhaps two-thirds of the field had been warned by this time, with almost every reference citing Tertre Rouge as the site of the infringement. What was proving to be an uneventful session continued with undiminished predictability for a further 20 minutes until Magnussen’s #63 Corvette twitched for no obvious reason through the Porsche Curves, stepped out, and nosed into the concrete wall on the right, then spun round and thumped rear-end first into the opposite wall. There were no immediate improvements in overall grid positions in the opening minutes of the session, just a few scattered laptime improvements that didn’t change anyone’s place in the overall rankings. 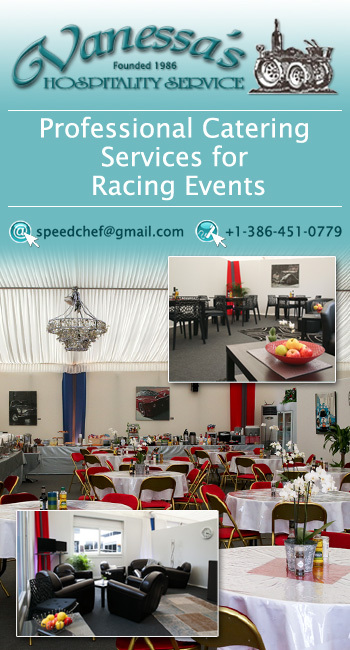 After about 40 minutes, a slow zone was initated at the first chicane when the #13 Rebellion went into the barriers, which then became a red flag when one of the Am Ferraris found the gravel on the way into Porsche. When the track went green again, Jorg Bergmeister got within 1.3 seconds of the #91 Porsche’s best time from Wednesday night, but that was about as close as anyone was managing to get in either GT class. The German went quicker again at almost precisely halfway through the session, getting within seven-tenths of Wednesday’s mark. Vilander was the first to put a fastest-overall time on the board this session – a 3:57.503 to put the #51 Ferrari second from bottom in the class. 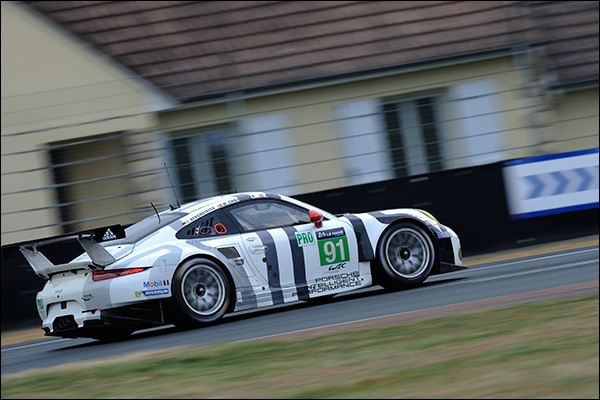 However, this car did have some of its times from Wednesday deleted post-session due to track limits infringements. With just under 45 minutes on the clock, Jan Magnussen had a heavy crash in the Porsche Curves in the #63 Corvette. The back end seemed to go light or step out and the front-right corner of the car impacted with a concrete wall before the car spun around and had a secondary impact to the right-hand side. Magnussen was awake and alert after the impact but the safety team took their time extracting him in cautious fashion. There were no immediate improvements in overall grid positions in the opening minutes of the session, but the #50 Larbre Corvette spun and continued with Paulo Ruberti at the wheel. As in Pro, there were a smattering of car best times being set, but no shuffling of the order set on Wednesday night. A red flag came out with 45 minutes done when Duncan Cameron in the #55 AF Corse Ferrari ended up in the gravel on the way into the Porsche Curves. Once it was lifted, running resumed, but times were well off Wednesday’s benchmark for pretty much the entire Am field. 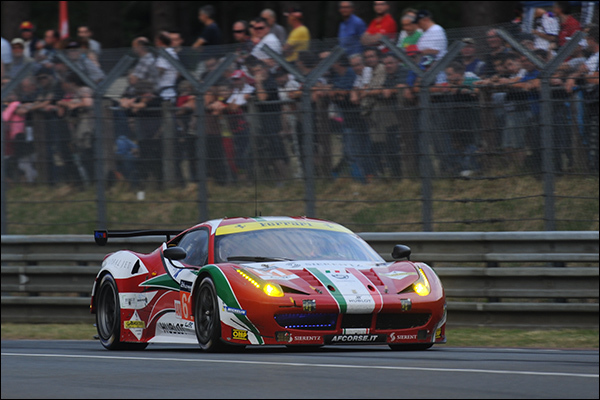 Raffaele Giammaria in the #61 AF Corse Ferrari 458 went faster than that car had gone on Wednesday with 50 minutes of the session remaining, clocking a 4:01.584 but not improving on the car’s position of 12th in class. He did manage it next time around with a 4:00.582 bumping him up to 11th. Another two-tenths was enough to gain another place before the red flag for Magnussen’s incident.